Your Winter wedding does not need to be like Caitlin Moran’s winter wedding. With the right venue, the right caterers and a festive ambience you’ll transform your Winter wedding into a magical experience. Winter weddings are getting more and more popular. It is the time of family reunion. So what best than celebrating the union of 2 families around the festive season. We are all in a festive mood, ready for laughter, cracking crackers and enjoy all our favourite comfort food. Independent Winter wedding venues are key to a magical Winter Wedding, beautiful barn with log fire, the smell of pine, candle lighting and fairy lights. 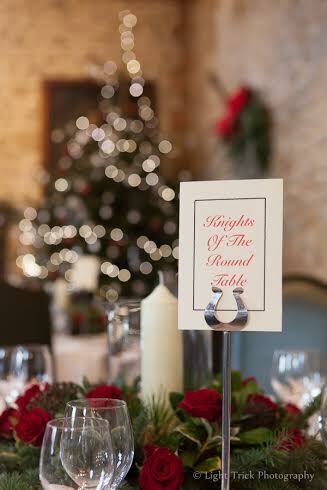 Venues such as Birling Manor, Grittenham barn to name just a few, offer stunning background and flexibility. Succulent stuffed roast Sussex free-range turkey, delightful winter spices and vegetables, seafood such as oysters are at its best and are a wonderful subtle canapés.